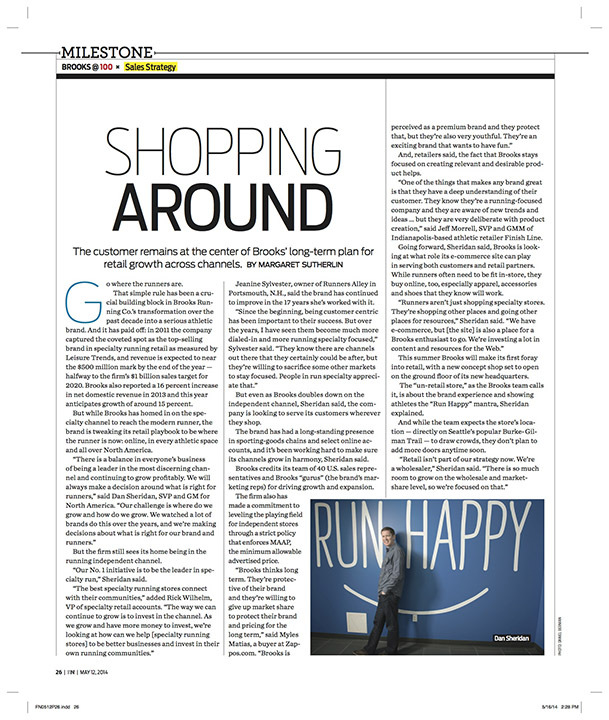 In April, I did a shoot about the turnaround at Brooks Running company for Footwear News, a Condé Nast trade publication dealing with the footwear industry. 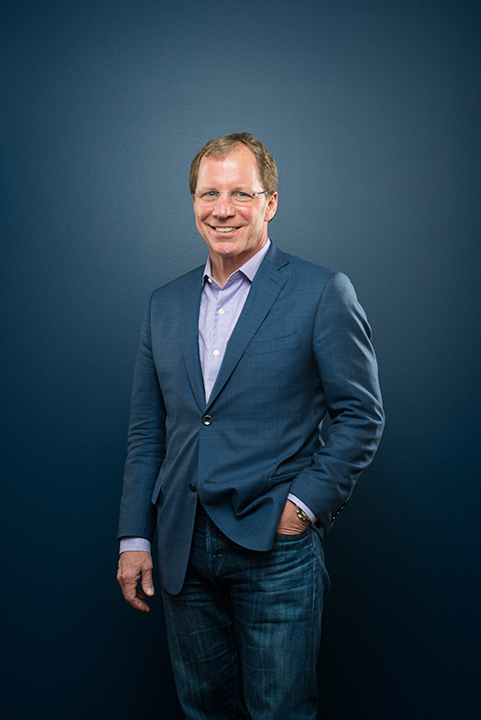 The story is about how after 100 years in business, Brooks CEO Jim Weber has managed to overhaul the company from the brink of bankruptcy into a company that sold a half billion dollars in products last year. It was no easy feat. 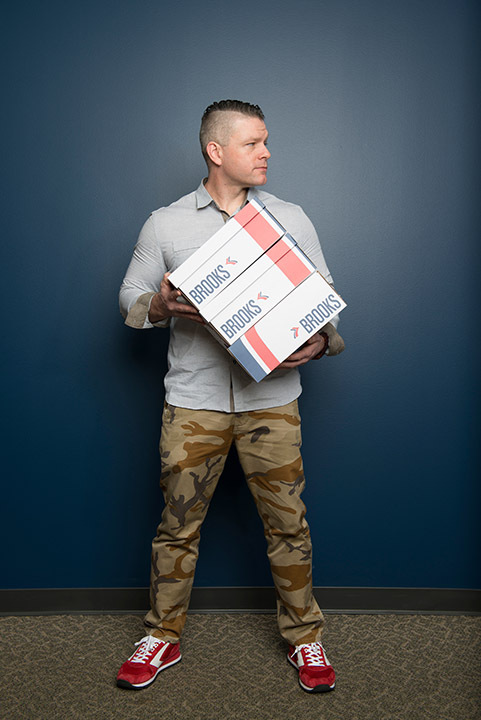 It required dumping entire product lines, launching new ones, and hiring executives from visionary brands to come work in new divisions at Brooks. 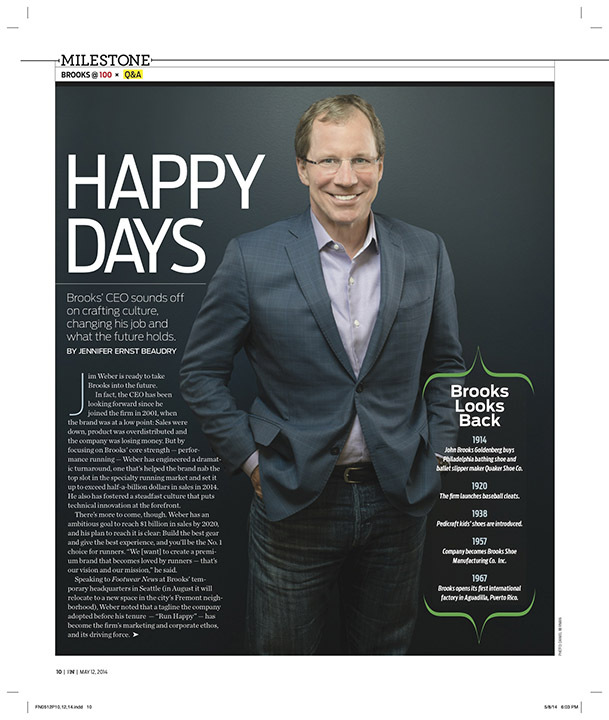 Over what became a very long day, I photographed Brooks CEO Jim Weber, as well as Shane Downey, head of the new heritage line, Pete Humphrey and Eric Rohr in the Brooks Running testing lab in the Eastlake neighborhood, and several other employees for a lookback quote section about their experiences and memories at Brooks. 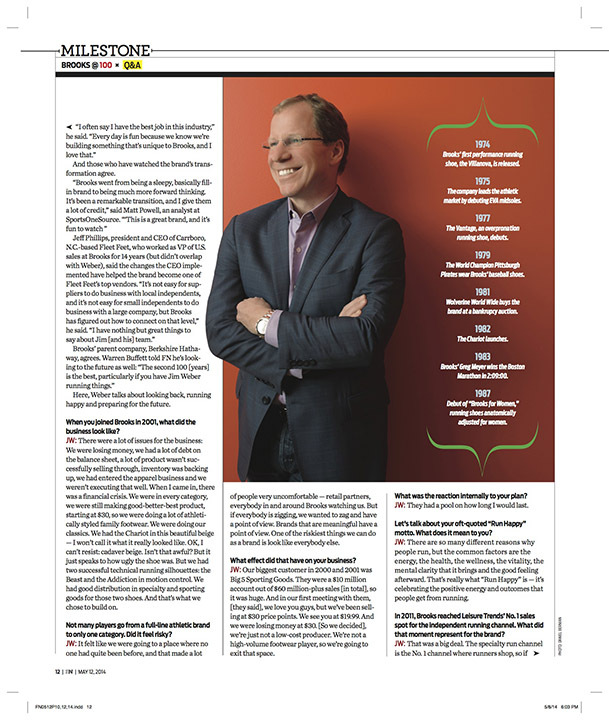 The magazine cover story published last month and I am excited to share the tear sheets! It’s always a sweet assignment when I get the chance to photograph and meet people who do interesting work in interesting places. 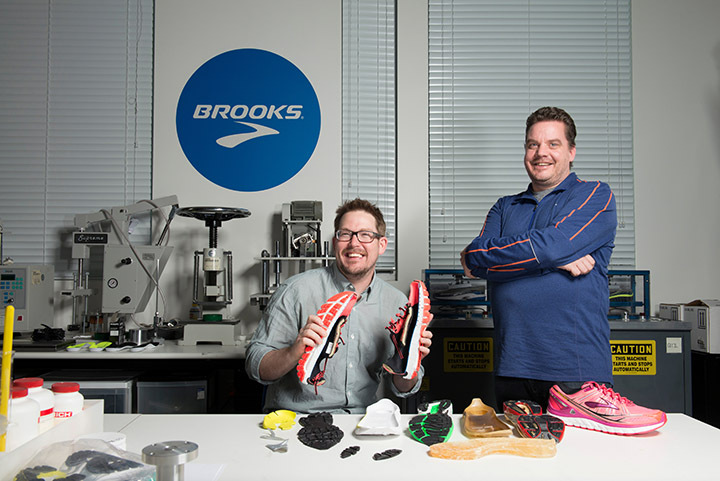 Brooks VP of R & D Pete Humphrey, left, and Brooks biomechanist Eric Rohr in the Brooks testing lab at temporary offices in Seattle. 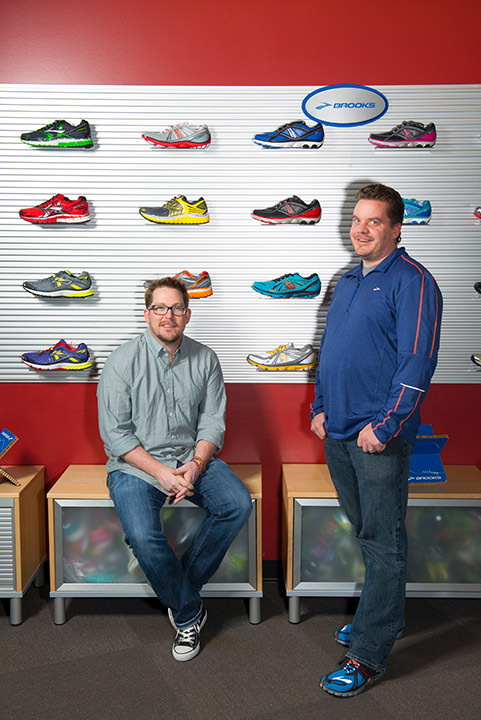 Brooks Running company has had an amazingly successful turnaround in the last few years. Photographed at their offices in Seattle Monday April 14, 2014. 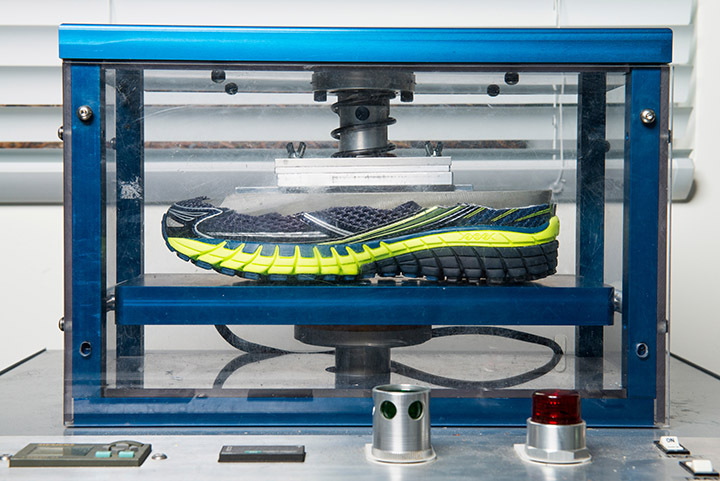 Photo by Daniel Berman/www.bermanphotos.com for Footwear News. 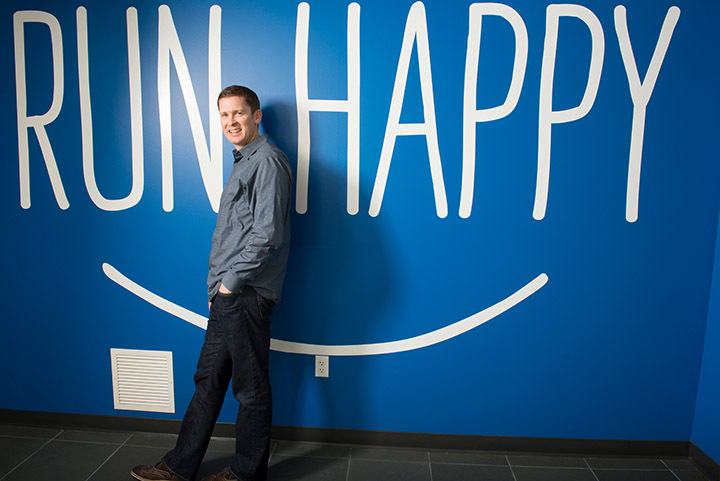 Dan Sheridan is Senior Vice President and General Manager of North America for Brooks Running.